Physical Kitchness is three years old! It’s still hard to believe I birthed this ‘work baby’ just three short years ago. The hustle has been REAL to make it as a full-time blogger, but so incredibly amazing to have my dream come to fruition and to say I’m incredibly grateful for all the people frequenting my site and following me on social media is a vast understatement. So for this year’s post, I thought a Q&A might be fun! A few weeks ago I asked my Instagram followers to submit questions they had about my blogging gig. Now let’s dive into all the questions! How long did it take to get noticed and build a following? It was a solid year and a half of blogging consistently when things started to progress in terms of a following. My main source of traffic at the time (and still is), Pinterest, was brining in a steady steam of web traffic and I had some recipe pins that were gaining popularity quickly. 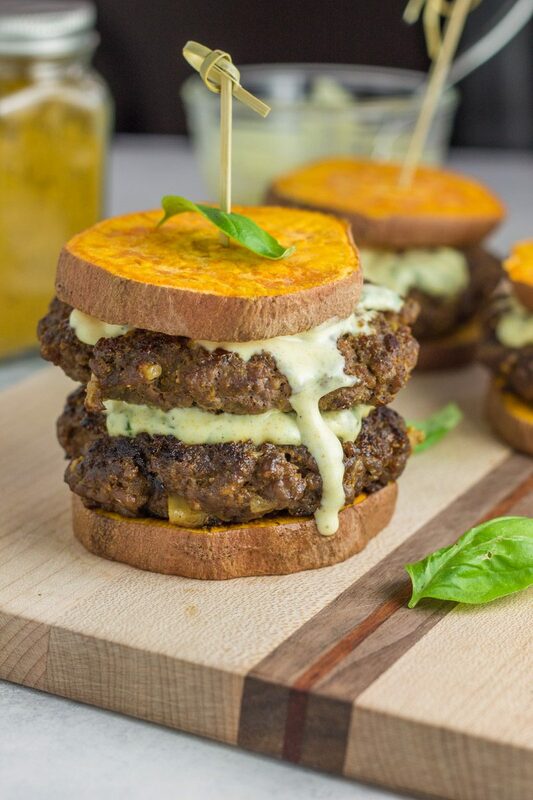 After that, I did my first Whole30 Recipes Instagram takeover which helped increase my exposure a TON and helped build my social media following. What’s the one big thing that attracts people to your site? I like to think people come to my site and my social media accounts for two reasons: 1. they know what I offer is quick and doable – whether that’s easy recipes the family will love or efficient workouts you can do anywhere and 2. they know I keep it real and I GET IT. I understand what it’s like to be busy and juggle all things, so I can tailor my content to fit that need and offer solutions to what people need. Any advice where to start? Figure out what your ‘thing’ will be – find a niche and start there. You can’t just blog these days about anything like you could before the blogging boom happened. If you want to start a food blog, get specific on what kind of food style or diet you’ll focus on (for me, this is mainly paleo/Whole30). Then be consistent and stick to a posting schedule! 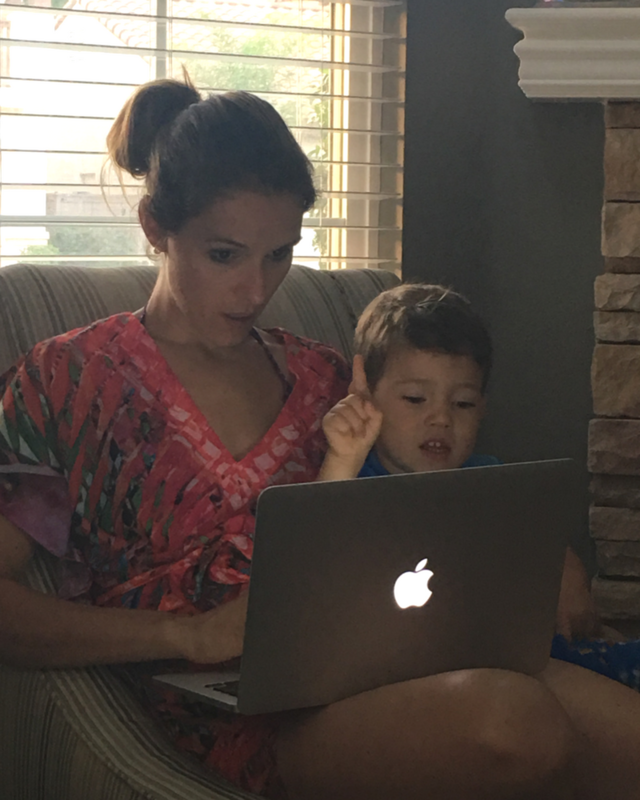 How do I manage my time to blog when I didn’t have childcare? I worked full-time on my site for almost 2 years without childcare and I’ll be honest, it was a lot of late nights, early mornings, and nap time hustling. It was exhausting to stay up until midnight or rise and shine before 5am to be able to work, but I wanted it THAT bad. I just had to make the time, even if it meant forgoing precious sleep! How long was I blogging before I made money? I started making a little money right before that first year mark. It was a few hundred bucks here and there, but it meant the world to me – it meant I monetized my blog!!! I had to work at first in exchange for free product, but I knew that was a starting point to getting my feet wet. I officially made ‘full time’ income status (aka what I was making in my previous job) a year and a half into blogging. At the time it seemed to take SO LONG but I realize now how quick it really was. How do I find the time to create content? My kids and my husband are my life – my business comes next. I say that loosely with a tinge of humor behind it, but basically what I mean is that I’m always thinking about my business, my content, and what’s next. So when it comes down to executing, I’m ready with ideas and just DO. Where do I draw inspiration for content? I wish I could say we go out a lot and I draw inspiration from restaurants we’ve tried or new classes at fun studios I attend, buuuut hi, I’m a mom of small children – a.k.a don’t get out much. I draw lots of inspiration from old cookbooks or meals I had as a child or just throwing things together that have worked for me when I’m trying to get dinner on the table with two hangry kids. How do I get companies to sponsor me? Piggybacking off the question above – before any sponsorships came, I worked in exchange for free product. Once those posts performed well, or I proved I could do a good job incorporating a brand or product in a quality post, I started to ask for compensation. That past work, in addition to my growing audience meant I had a little more ground to stand on when I started to charge for my work. Something REALLY important to note is that I never work with brands that I don’t believe in, use, or think would be of value to my audience. I’ve turned down major deals (like, I’m talking my entire SoCal mortgage for a month) because I knew it just wasn’t the right fit for me and my audience. Trust is HUGELY important when building any business. Sponsored deals will come and go, but authenticity lasts forever. How did I overcome the overwhelming task of actually starting a blog? Kristie Hill saved my booty when I was that newbie to the blogging world. If I didn’t have her, I don’t know if I would have ever gotten the courage to start. I highly encourage anyone with a ream to start blog and a need for actionable, step-by-step help to check out her program, Start and Shine. How did I overcome the fear or judgment of what others would think? I was too naive to worry about that at first! It wasn’t until I started getting more personal in Instagram that I would get the occasional judgmental or mean message. It’s not often, but they can still hurt (I’m a total a softie). I’ve made two promises to myself this year: 1. those who attack me/my kids/my life will blocked without question and 2. my faith is bigger than any judgement or negativity about who I am, so as long as I remember who I am and who I ultimately serve, no one else’s opinion really matters! Is there a minimum amount of time per week you would suggest working on a blog to keep it profitable but still keeping a full time job? Tough question! I would shoot for posting twice a week consistently, but will be a challenge with a full time job! I started posting three times a week, then eventually two posts. The key is to stay consistent. How do you even get into blogging and did you have lots of support? 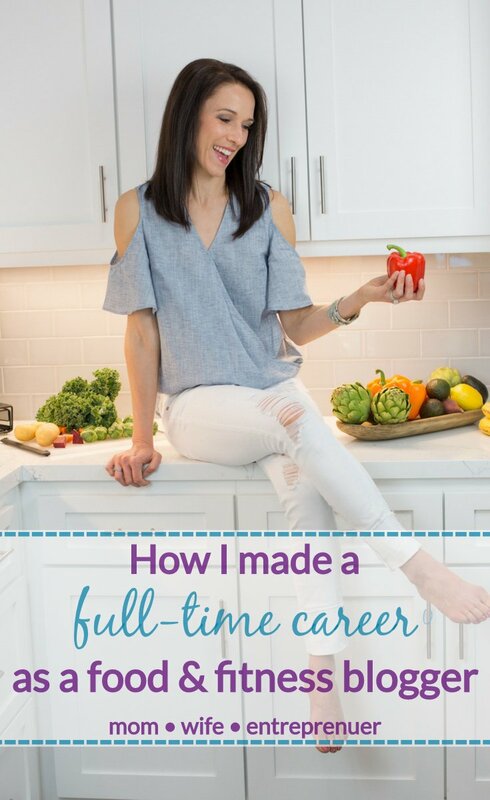 I wanted to get into blogging when I started to love cooking shortly after I got married. Once I started Physical Kitchness, I strived for it to become a business, not just a hobby. I’m so grateful for the help from Kristie Hill getting my blog up and running. Aside from that (which was HUGE by the way), I didn’t have a lot of support – I think it’s hard for people to understand blogging as a business. Eventually I started investing in business coaching and masterminds, with the first being Nicole Culver’s Blogger to Business Support Group. 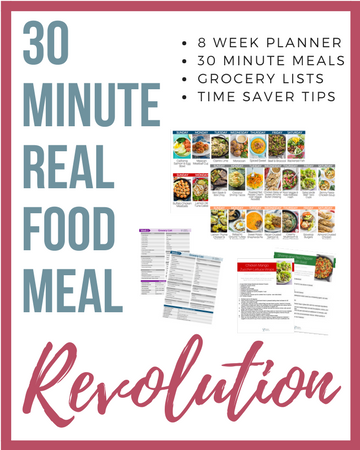 Nicole helped me through the launch of my first product, The 30 Minute Real Food Meal Revolution, which was a big turning point in my business. To get information on how to join the Blogger to Business Support Group, sign up HERE. After I realized there was even more out there for me to pursue, I joined Todd Herman’s 90 Day Year, Chris Winfield’s Unfair Advantage, and Brett Fairall and Amber Spears’ Mimosa Mastermind, which have been instrumental in my growth and launching my membership site, Club Kitchness. Masterminds have and will continue to be integral for my business because they provide SO much value and SO many amazing contacts. How to become friends with others bloggers? Reach out! Some of my best blogger friendships were made simply by reaching out via social media and meeting up or showing I cared about their work by supporting them via comments and shares. The blogging world is like no other – everyone truly supportive of each other and happy to help whenever they can. Some of my closest blogger friends are Jen from Carlsbad Cravings, Michelle from The Whole Smiths, Kristen from Living Loving Paleo, Ashley from Fit Mitten Kitchen, Taesha from The Natural Nurturer, Lindsey from Nourish Move Love, Stacie and Jess from The Real Food Dietitians, and Kelsey from Little Bits Of! Check them out! What are tangible milestones to be profitable? X page views per day? For sponsored work, I’m seeing a shift – brands are focusing more on working with bloggers who have loyal, engaged audiences, versus the number of followers or page views per day. You can have a smaller following and still make money, as long as your audience is highly engaged and you niche is specific. For ad work, I work with a company called Mediavine, who places ads on my site for me. They have a minimum threshold of 25,000 sessions in 30 days to apply. Basically in the sphere of ad income, the more page views you have per month, the more profitable you will be. How do I divide work and home time? Something I’m still working on and need to get better at! To be honest, the last three years I’ve worked A LOT and really need find a better balance. My next goal is to hire my first employee and get some of the busy work off my plate so I can focus on the things I love and be the best mom and wife I can be! What’s going to be the next thing for your brand? I can’t WAIT to see what the next year will bring for Physical Kitchness! In August, I launched my exclusive membership site, Club Kitchness – a one-stop shop for busy women that want to simplify healthy living and be in a supportive community to feel encouraged and stay accountable! Club Kitchness offers exclusive recipes not available at Physical Kitchness, full workout videos, coaching calls, and a private, online community of members. 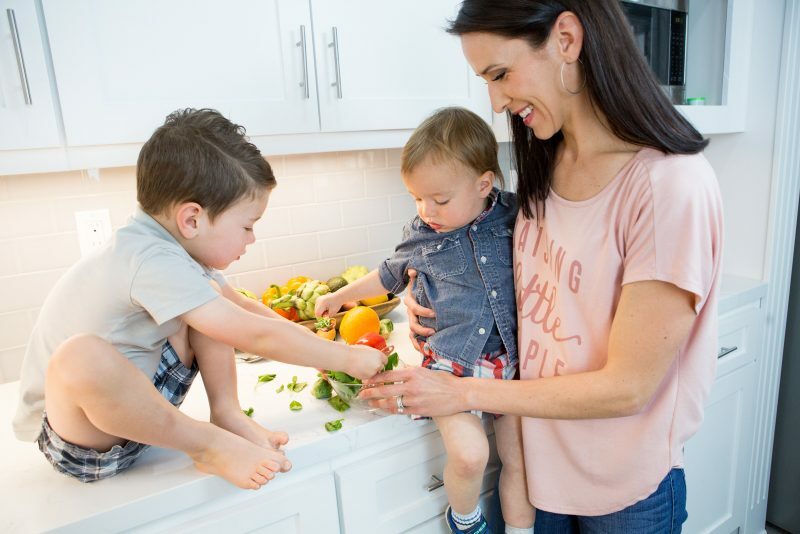 It’s where my heart feels home – still doing what I love by creating quick, healthy recipes and follow-along workouts, but also building deep connections with members. I love helping women realize they CAN live their best, healthiest list and love navigating them past their mental roadblocks and into a mindset of empowerment! This fall I’ll be launching another recipe guide (in addition to my 30 Minute Real Food Meal Revolution offer), an Instant Pot guide for quick and delicious paleo recipes. I realized after purchasing my Instant Pot what a steep learning curve there was to perfecting meals – so I spend five months creating and testing recipes to include in my latest project. 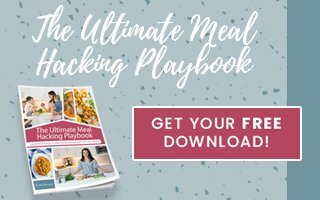 20 complete recipes will be included that are gluten free, dairy free, family-friendly and fool-proof! Stay tuned for that release in a few short months! As for future projects, we will see where the year takes me! Open and excited about all the possibilities ahead. Blogging has been on my heart and soul for a long time. Topics pop up into my head when I’m out for a walk/run. It’s non-stop. Time to take the initiative and put my dream into action. I still have no clue how I found you on instagram. LOL Nonetheless…you inspired me. Thanks so much Roz. I can SO RELATE to this – I never turn my brain off!!! Oh my goodness, don’t you LOVE Mediavine?! They are outstanding and have changed the game for me. I now do way less sponsored material and more of what my readers want to see, so it’s a win/win. So proud of you, girl! Thanks Erica!! Yes yes yes such a fan of Mediavine and everyone who works there!